The Government is missing an opportunity to drive uptake of ultra-low emission vehicles by not addressing the needs of fleets with a joined-up strategy of incentives, industry stakeholders have warned. The costs for running plug-ins don’t always stack up versus petrol or diesel cars. Following last week’s announcement that BVRLA members would pledge to increase their combined ULEV fleet from 50,000 to 720,000 between 2018 and 2025, aiming to get reciprocal support from Government to achieve it, others have warned that not enough is being done to support businesses looking to move away from conventional technologies. Speaking to Fleet World, ACFO said operators face significant barriers when making the switch to plug-ins. These include company car tax bands which rise to 16% in 2019/20, then fall to 2% the following tax year and have no clarity beyond that point, and P11d pricing which does not reflect the Plug-in Car Grant – a move which would incentivise drivers to choose them. ACFO also sees a lack of advisory fuel rates (AFRs) for ULEVs as a challenge, as a flat rate with petrol vehicles disincentivises proper plug-in hybrid usage and adds an administrative burden for operators. The organisation launched a petition for specific AFRs for plug-ins in April. These views are echoed by leasing companies. Craig Grant, head of account management at Alphabet, said decision-makers in all sizes of fleet were interested in utilising more electrified vehicles, but that the cost savings don’t always add up. Inadequate incentives for plug-in vehicles, at a time when Government is disincentivising diesel engines, is a core concern of Fleet World’s campaign to Save the Company Car, which launched last week. 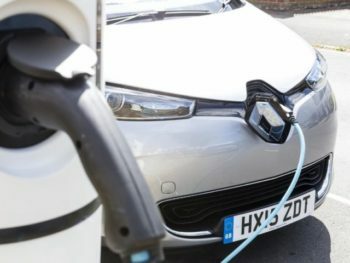 Among its calls to action, the campaign says it is essential that the low tax bands for ULEVs are introduced earlier than April 2020, and that advisory fuel rates for electrified vehicles are required today. To find out more about the campaign, click here.